I’ve been a fan of Balblair since the first time I tasted the 2001 vintage a few years ago. It’s a very ur–Highland malt, embodying all the flavors and textures idealized in the style, and because the brand tends to fly under the radar, I thought there might be something to discover by visiting. I couldn’t have asked for a more atmospheric setting. Starting from before I hit Inverness, the drive north to Balblair took me through fairy-tale level mists: The sea haar had descended with a vengeance and didn’t lift till well past midday. Winding past Tain and along the road to wee Edderton, there were signs for Pictish stones left and right, and indeed I felt as though at any moment I’d drive right into the past, the hidden houses and roadways just disappearing completely. It didn’t help that Balblair is just plain hard to find. 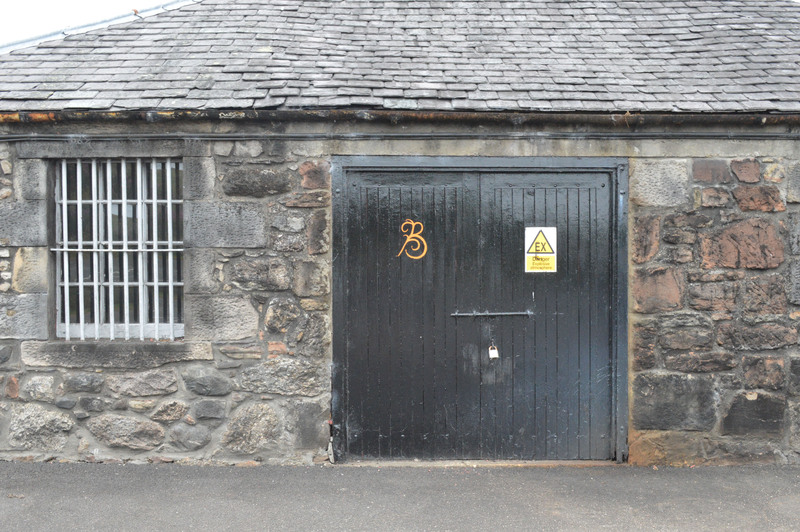 Unlike with many other distilleries in Scotland, there weren’t any helpful brown signs indicating I was headed in the right direction, and the site wasn’t listed in my atlas either. As for the GPS: It’ll take you to the postcode, sure, but when the postcode covers the entire village—and the fog is obscuring everything more than six feet away—finding the long driveway to the distillery can be a challenge. But at last I stumbled upon it. 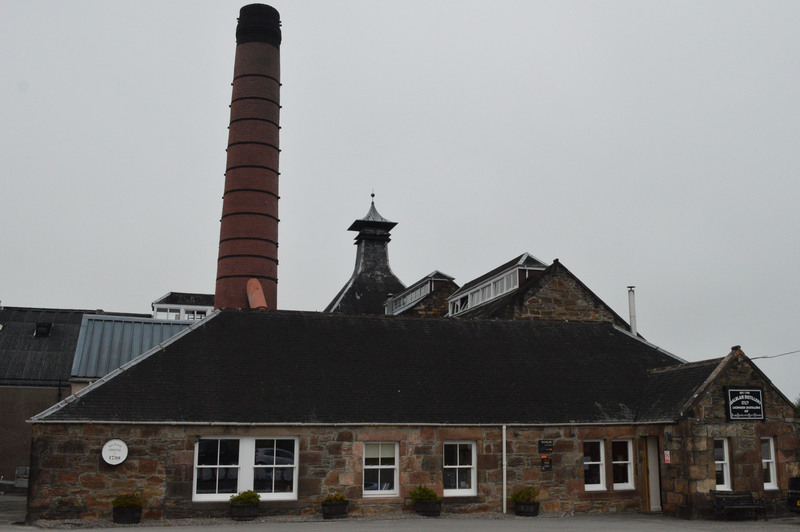 The distillery is very picturesque (you might remember it from The Angels’ Share) and supposedly offers stunning views directly overlooking the Dornoch Firth. But with the haar obscuring everything, the site had quite an otherworldly quality that morning. And as the only visitor on the tour, I did get a little frisson of anticipation as the guide and I walked through the mist to the different buildings. 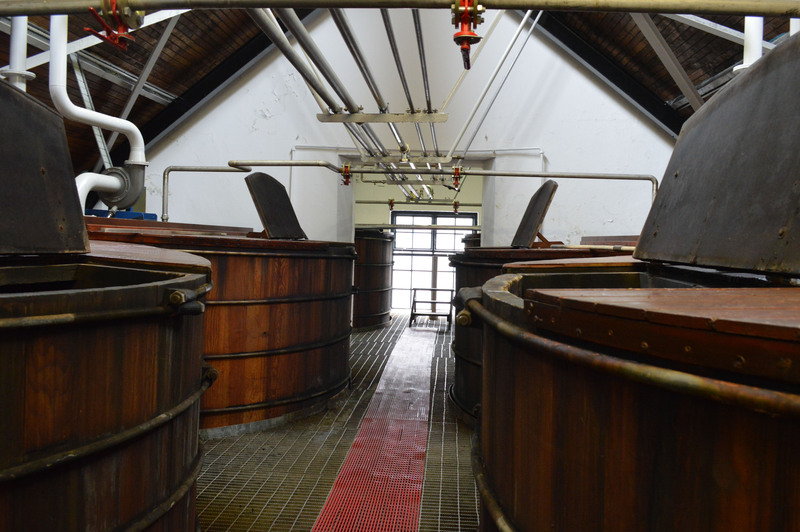 Oregon pine washbacks, each of which holds about 21,000 liters of wort. Fermentation lasts 2 to 2.5 days. 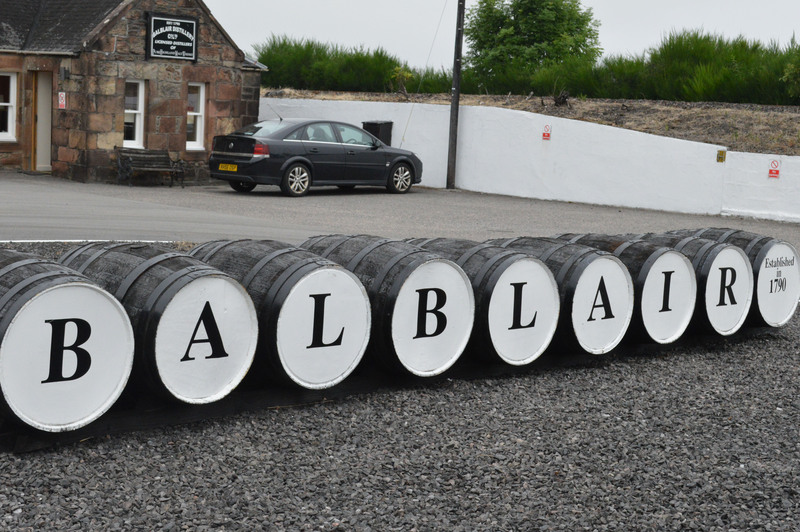 Balblair mainly uses ex-bourbon casks and they’re all stored on site in eight warehouses. As at a few other distilleries on this trip, which took place in July 2014, the tour guide breathlessly informed me that America is about to change its laws on bourbon production and allow distillers to use their barrels more than once, which would spell utter disaster (or at least more expensive barrels) for the Scotch industry. After pondering this puzzling rumor for a few days, I realized that it must have originated with Diageo’s attempts to get Tennessee to change its laws about what constitutes Tennessee whiskey. In short, Diageo owns the George Dickel Tennessee whiskey brand and would very much like to be able to reuse its barrels to age spirit. Rival brand Jack Daniel’s got a state law passed in 2013 that mandated, among other things, that those trying to sell their product as Tennessee whiskey could use new, charred-oak barrels only once. (Products labeled as bourbon have to follow the same kind of rule.) 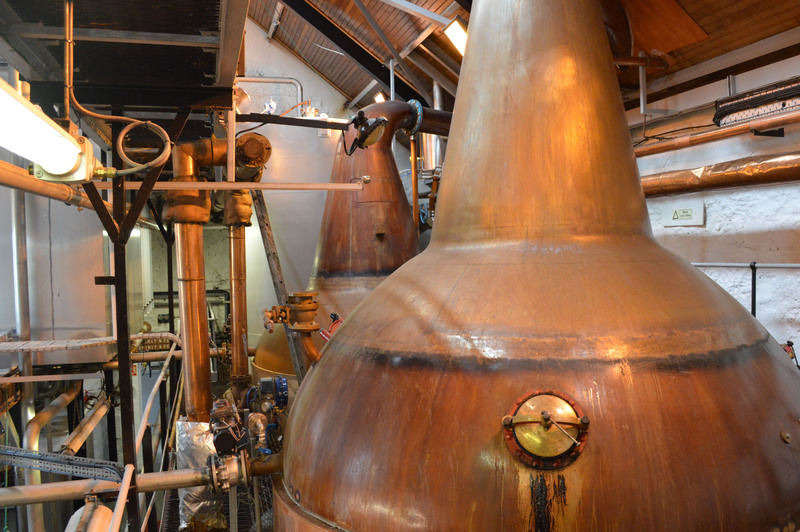 Diageo, with the support of some small craft producers in Tennessee, sought to change the law, ostensibly out of goodwill for those craft distillers and the noble aspiration to make whiskey without restrictions on creativity, and not at all because it would save them money. Who knew these casks would be the cause of such anxiety? Back to Scotch whisky. 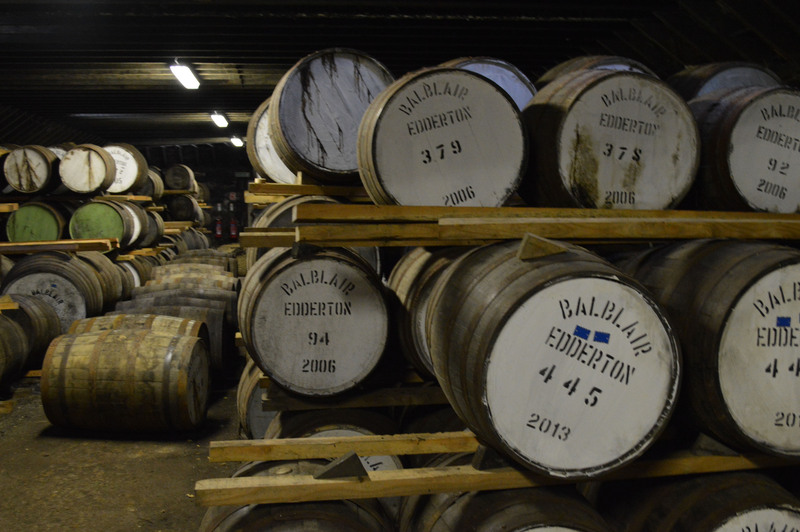 Balblair bottles all its vintages at 46% abv, which really benefits the hefty complexity of the whisky. After the tour, you get a free pour of something tasty and then pay for each dram you’d like thereafter, receiving a generous serving. This is a sensible option since the brand’s vintage model means there are no standard expressions to taste through, and with the prices well below what you’d pay in a pub, visitors can stretch a little and try some of the older options. The guide was even kind enough to put my dram in a bottle so I could enjoy it later, when I didn’t have to drive. With a nose of fresh apples and pears, honey and vanilla, the palate gives way to caramel apples, walnuts, vanilla, white sugar and a spicy finish. I bought a liter of this one at duty-free on my way home to New York, and it’s one of my favorite bottles right now. The aromas this gives off are all dessert: honey, vanilla, cherries, caramel and sugar cookies. The taste is all chocolate and chocolate covered cherries, as well as a lovely baklava note of walnuts with honey.